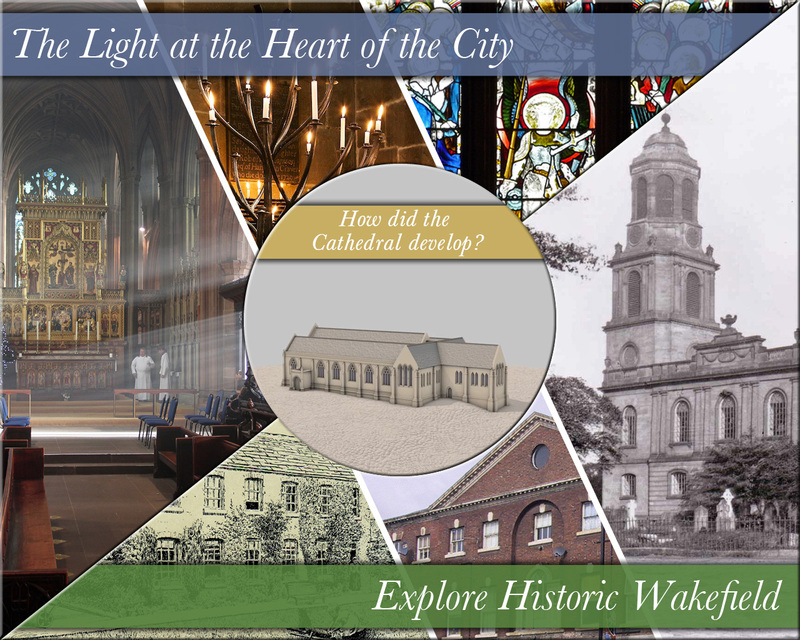 C&C maintains an ongoing relationship with Wakefield Cathedral, and has to date collaborated on two projects that have resulted in on-site interpretation media at the cathedral. 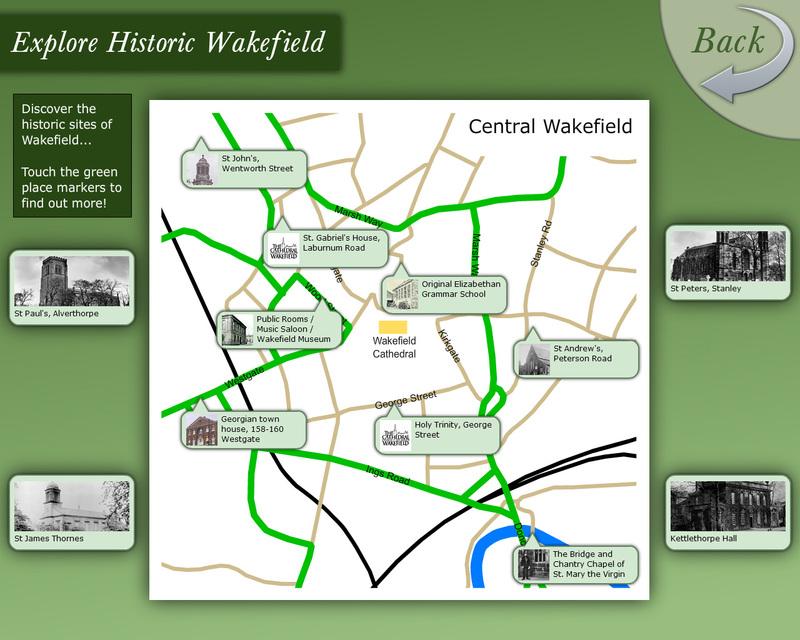 Wakefield is a vibrant city with an equally vibrant history, much of which is reflected in its cathedral. 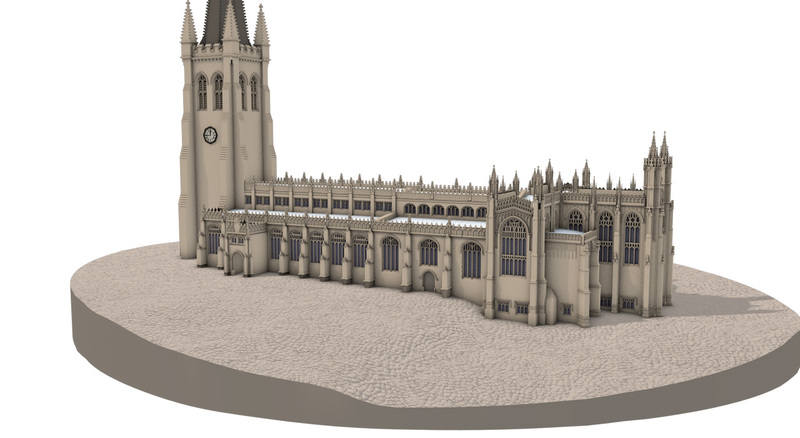 The two projects offered opportunities for visitors and locals to better appreciate the cathedral, the city and their combined history through contextualised interpretation. 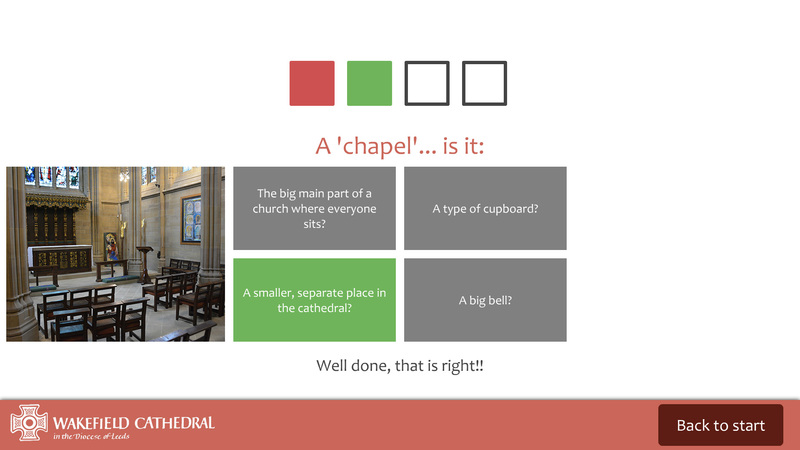 As part of an overaching externally-funded project to explore visitor interpretation methods for smaller cathedrals, C&C worked with Wakefield Cathedral in 2013 to present the building's life and history alongside that of the city. 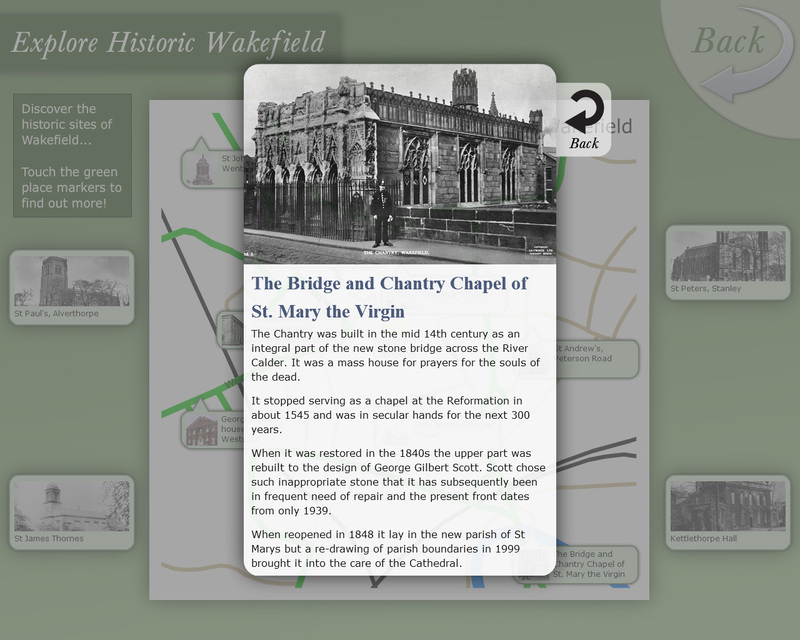 This contextualised approach to visitor interpretation aimed to better connect the cathedral's development with the rich history of Wakefield, aiding both visitors and locals in their appreciation of the two. 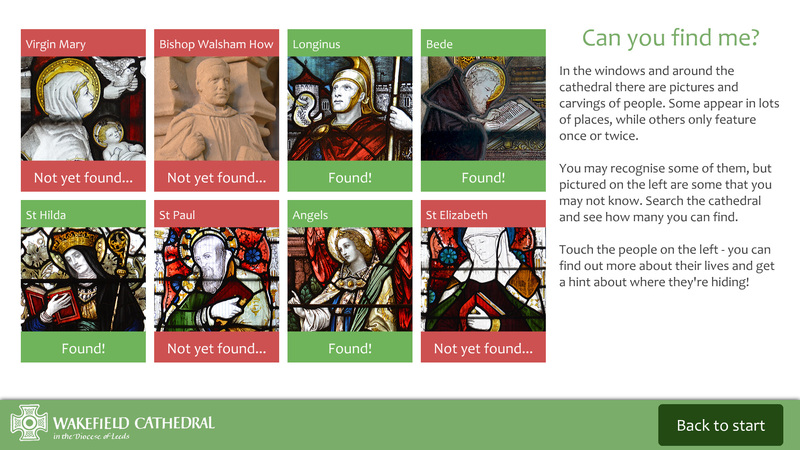 The output of this initial project was an interactive touchscreen, placed in the cathedral's porch. This allowed visitors to explore the development of the building from small Anglo-Saxon church, to large medieval parish church, through to the form that we see today, which reflects the building's Victorian restoration and conversion to cathedral status. 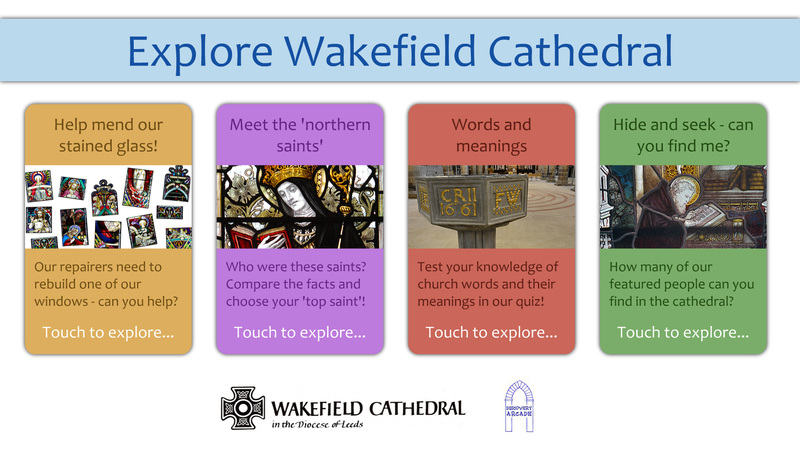 The interface weaves in short texts about objects within the cathedral, while other sections look at the Bible stories in the stained glass windows, the symbolism of light and colour within the cathedral and a brief history of the city of Wakefield. The touchscreen's emphasis is on short text with vivid imagery and is designed to encourage exploration of the building and its features once inside. It also provides a light-touch introduction for those less familiar with the Christian tradition and who find more traditional forms of interpretation intimidating or requiring prior knowledge. 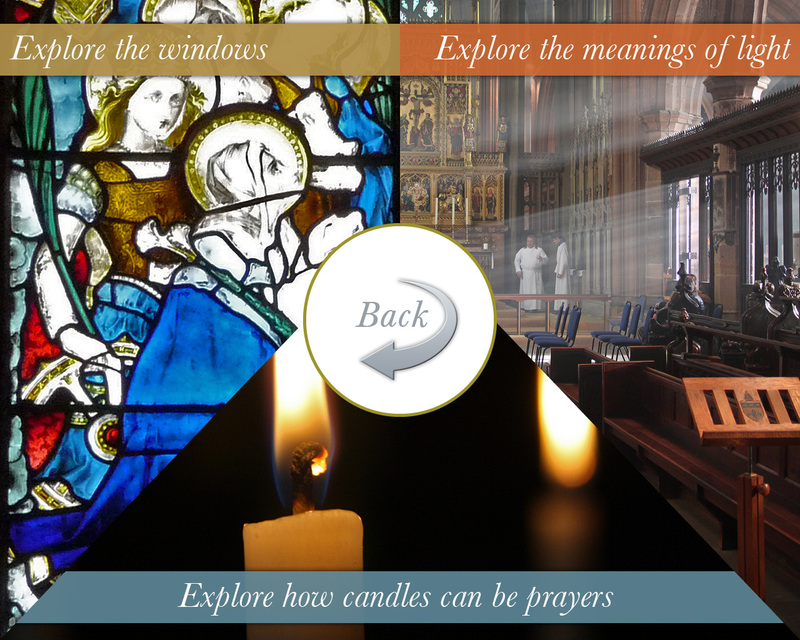 Following the success of the 2013 project, Wakefield Cathedral returned to us in 2016 to explore ways of delivering the public engagement aspects of a project that had funded the recent cleaning and restoration of the building's stained glass. 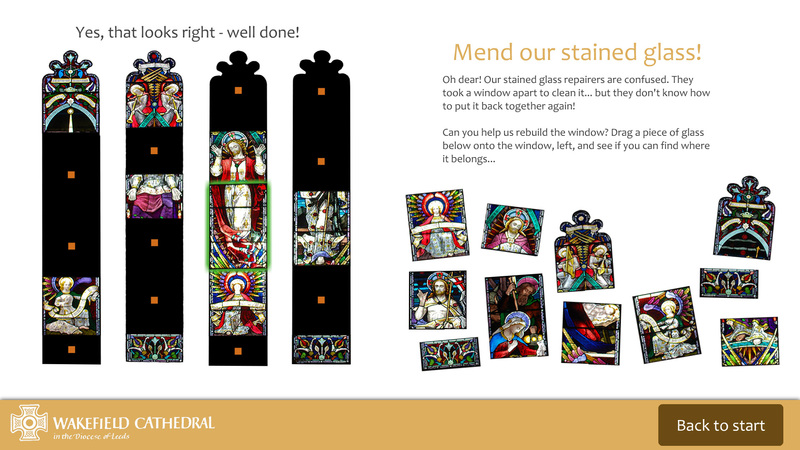 This coincided with the completion of a major reordering and conservation project within the cathedral. provided physical cut-outs that allowed visitor to be photographed as a bishop or a medieval roof boss! 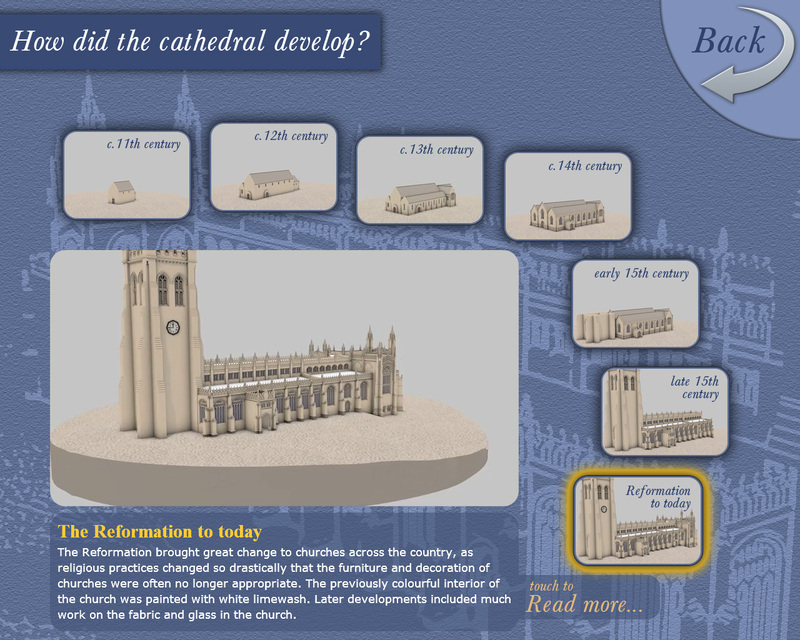 For more information, see the webpage at ArkDisplay. 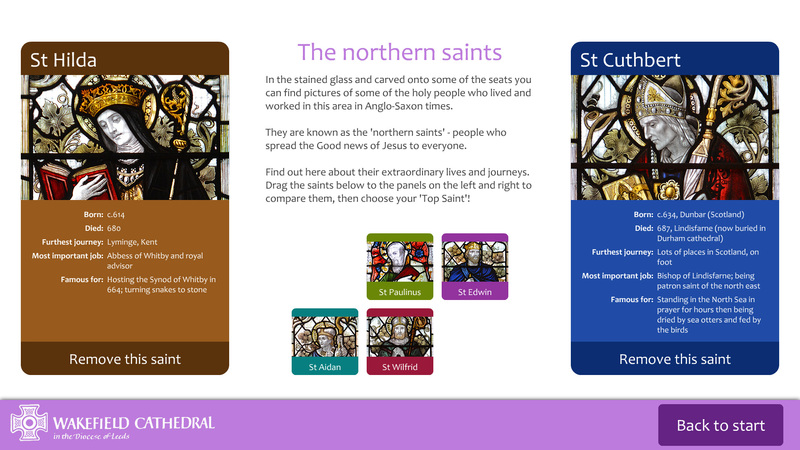 The project has proved popular with young and old alike and is frequently used by visiting school groups. Accessibilty was a key consideration in the project design. The variety in the provided media appeals to different learning styles, ranging from the highly tactile to the more visually abstract or exploratory, while the fun nature of the activities encourages visitors to return to have another go!